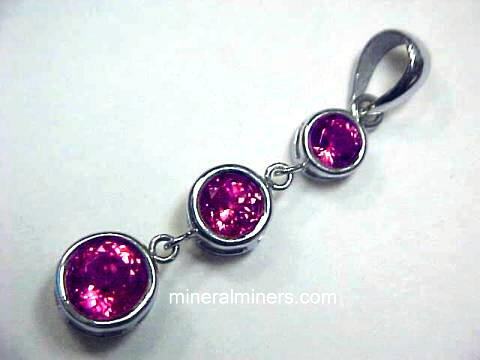 Try our Pink Tourmaline Crystals Satisfaction Guarantee - compare our prices and our superior quality. 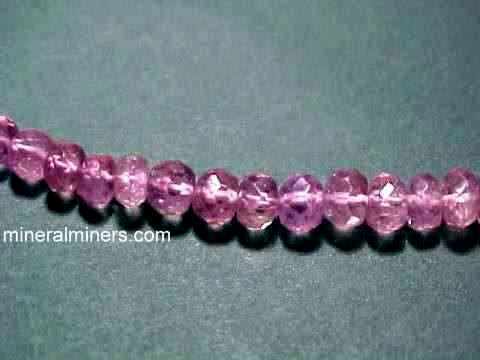 Click on any pink tourmaline image below to enlarge it. 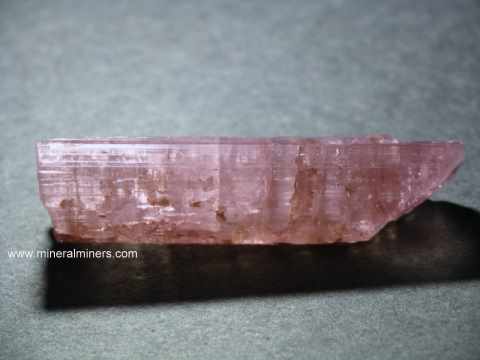 Pink Tourmaline Crystal Dimensions: 1.4" x 0.6" x 0.6"
The natural color pink tourmaline specimen is a semi-transparent crystal section with a small amount of clay minerals on the back side. 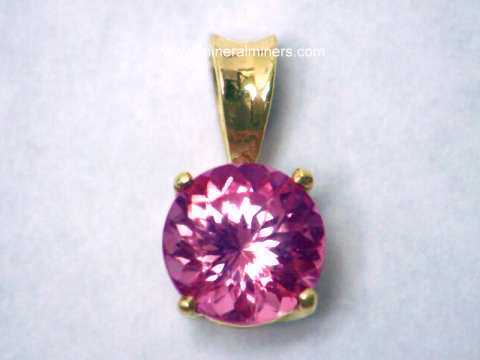 See an opposite side view of this natural pink tourmaline crystal. Pink tourmaline in matrix dimensions: 2.5" x 2.2" x 1.3"
This natural specimen of rubellite tourmaline with pegmatite matrix has a 1.8 inch long natural color deep reddish pink translucent tourmaline crystal section intergrown with a matrix of translucent quartz and yellow-green mica. Pink Tourmaline Matrix Specimen Dimensions: 2.3" x 1.7" x 1.5"
The matrix of this natural pegmatite specimen is translucent quartz. 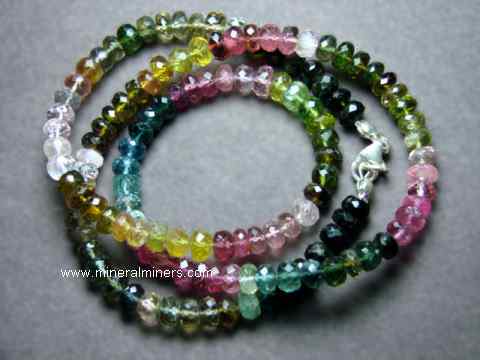 There are some semi-transparent natural color pink tourmalines. Pink Tourmaline Matrix Specimen Dimensions: 3.4" x 2.1" x 1.3"
The matrix of this natural color pegmatite specimen is translucent quartz with some lepidolite mica. 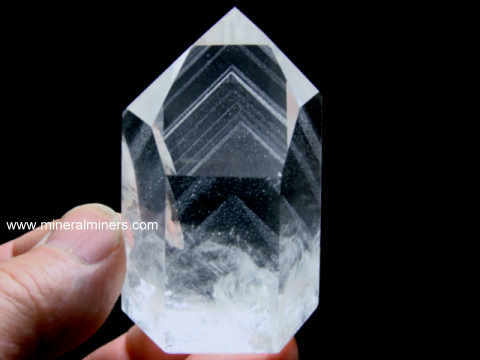 There is a 1.7 inch long semi-transparent pink tourmaline embedded in the quartz. 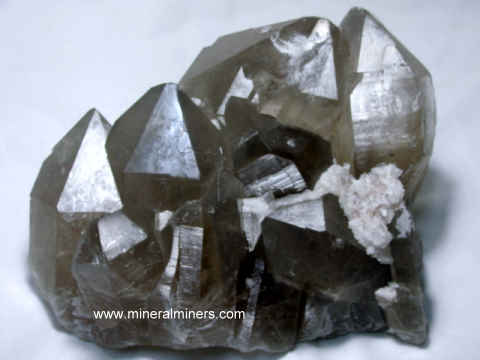 See also another view of this unique specimen of pink tourmaline in quartz matrix. 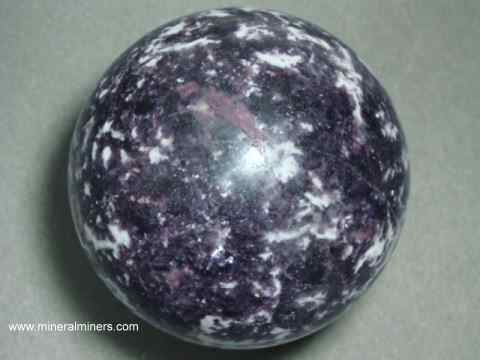 Pink Tourmaline in Matrix Dimensions: 3.7" x 3.2" x 2.3"
The matrix of this natural natural color pegmatite specimen is composed of lithium-rich lavender color lepidolite mica with gray quartz and white albite. 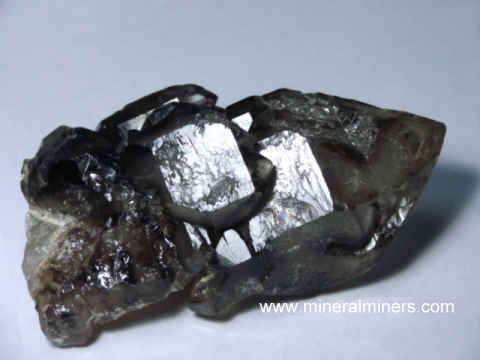 There are numerous semi-transparent pink tourmalines exposed around its surfaces. 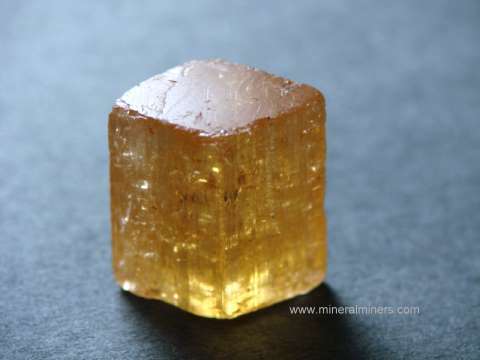 Natural color Pink Tourmaline in Matrix Dimensions: 4.1" x 2.6" x 1.9"
The matrix of this natural natural color pegmatite decorator specimen is composed mostly of translucent to semi-transparent quartz with some lepidolite mica and a small amount of albite. There are large semi-transparent rubellite tourmaline crystals exposed on this specimen's front and back surfaces. 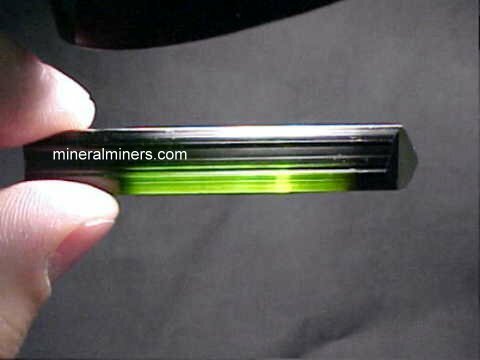 The largest of these tourmaline crystals is about 1.7 inches long. Their color is a deep red-pink. 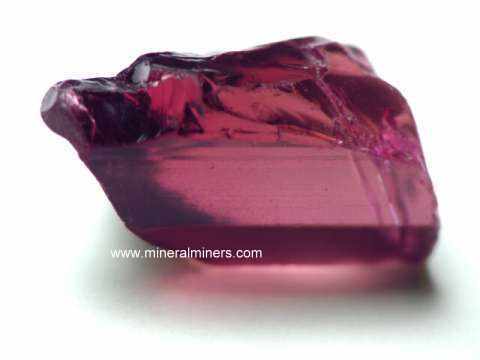 This natural rubellite tourmaline mineral specimen is a pink tourmaline crystal section with deep reddish pink natural color. 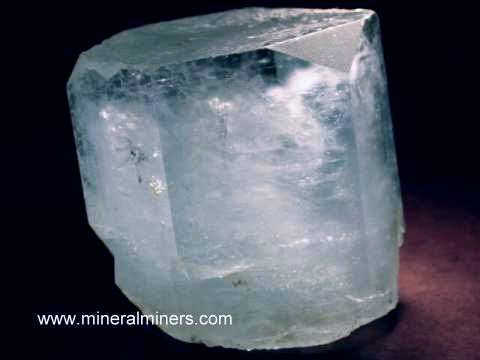 It is translucent with small semi-transparent areas. 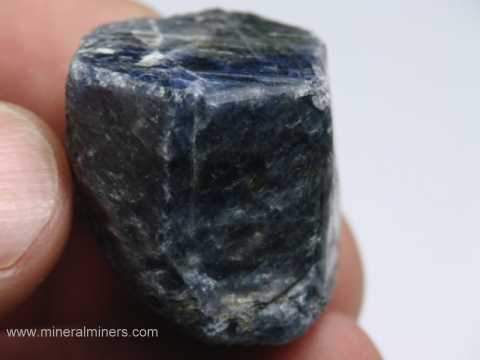 This natural color pegmatite specimen has a beautiful reddish-pink translucent tourmaline crystal section perched on a matrix of mostly mica with a little translucent quartz as well. 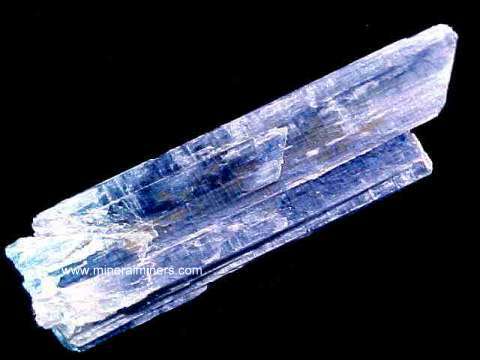 Pink Tourmaline in Matrix Dimensions: 5.4" x 2.7" x 2.1"
The matrix of this natural natural color pegmatite specimen is composed mostly of translucent to semi-transparent quartz with some mica and a small amount of very pale blue albite. 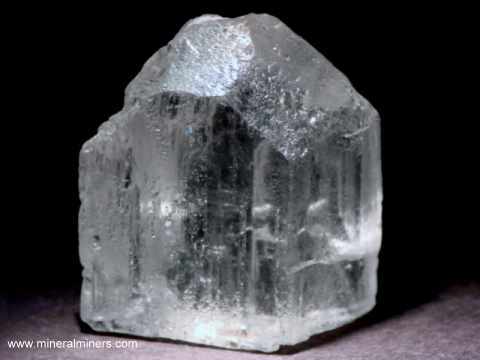 There is a 2 inch long semi-transparent pink tourmaline exposed on its surface as shown at left. 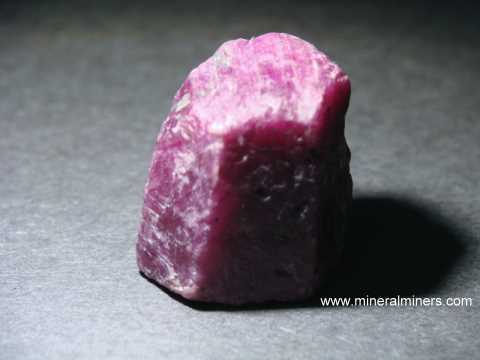 Rubellite Tourmaline in Matrix Dimensions: 3.8" x 3" x 2.3"
The matrix of this natural natural color pegmatite specimen is composed mostly of translucent to semi-transparent quartz with some lavender-purple color lepidolite mica. 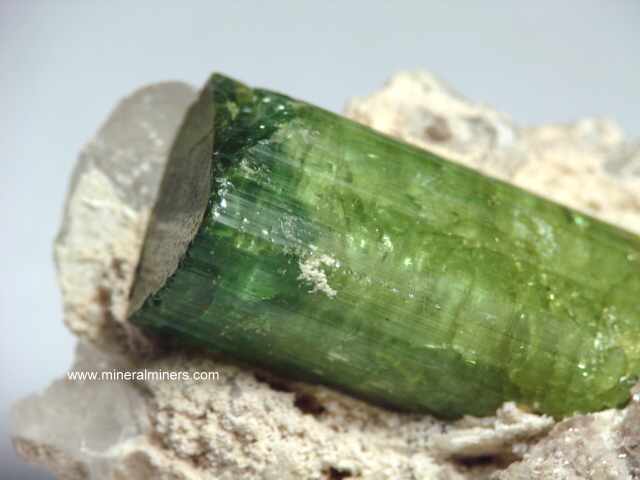 There is a 2.75 inch long spray of semi-transparent deep reddish-purple natural color tourmaline exposed on its front surface as shown at left, with several other rubellite tourmalines exposed around its other surfaces as well! This natural color specimen of rubellite tourmaline with pegmatite matrix has a deep reddish pink translucent to semi-transparent rubellite tourmaline crystal with a relatively thin flat shape and some translucent quartz with mica & white albite feldspar. 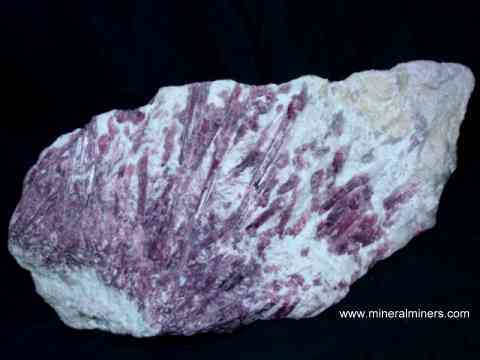 See also an opposite-side view of this unique specimen of rubellite tourmaline with pegmatite matrix. 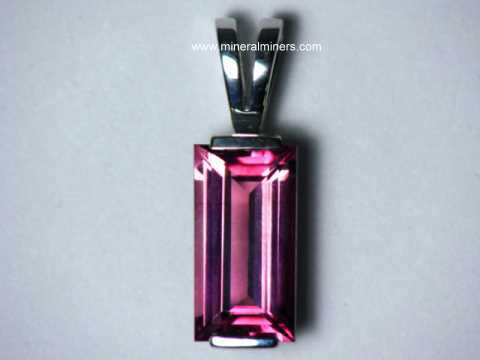 This natural specimen of rubellite tourmalines with pegmatite matrix has two tourmaline crystals with deep reddish pink natural color. 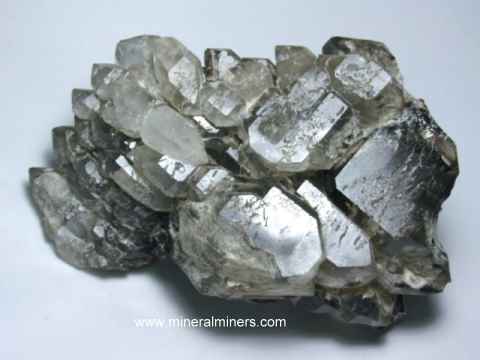 The tourmalines are translucent to semi-transparent and they are intergrown with yellowish color lepidolite mica & some translucent quartz. 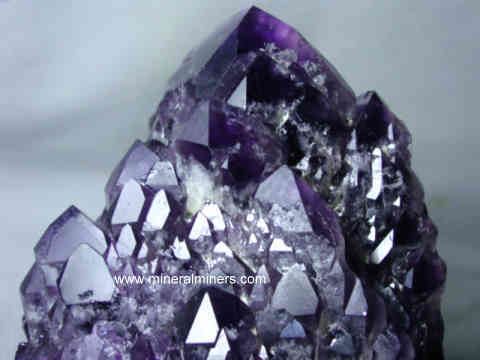 This beautiful specimen has a matrix of lilac-lavender color lepidolite mica with several dozen rubellite tourmaline crystals, many of which have small gem-grade areas. 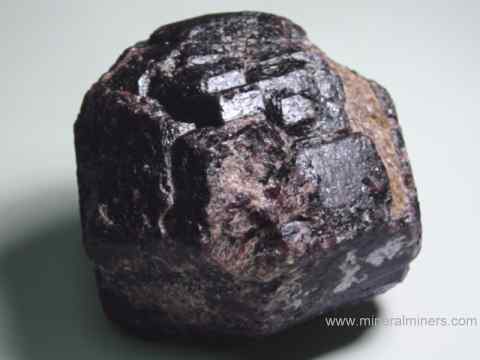 See also a close-up view of one of this specimen's gem-grade pink tourmaline crystals in lepidolite. 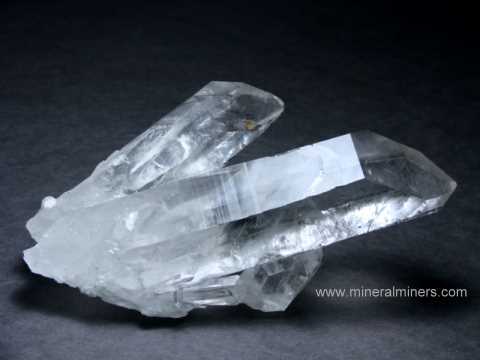 Pink Tourmaline in Matrix Dimensions: 7.8" x 5.4" x 4.7"
The matrix of this natural color pegmatite decorator specimen is composed mostly of translucent to semi-transparent quartz with some lepidolite mica and a small amount of albite. 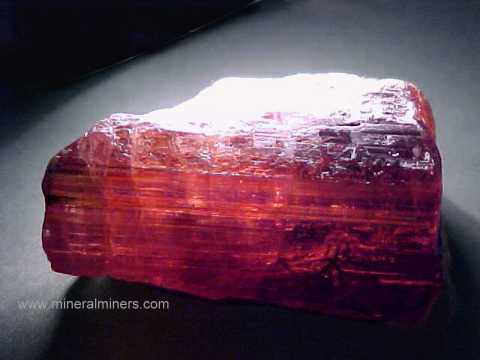 There are large semi-transparent rubellite tourmaline crystals exposed on all of this specimen's surfaces. 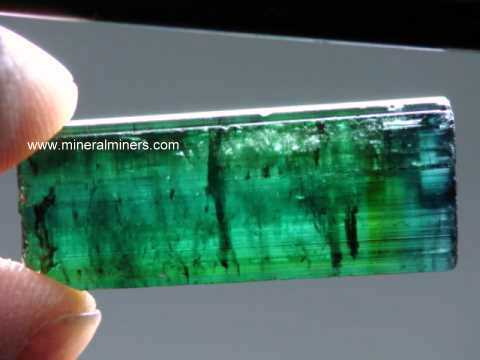 The largest of these tourmaline crystals is 4.5 inches long! Their color ranges from deep purple-pink to pink. 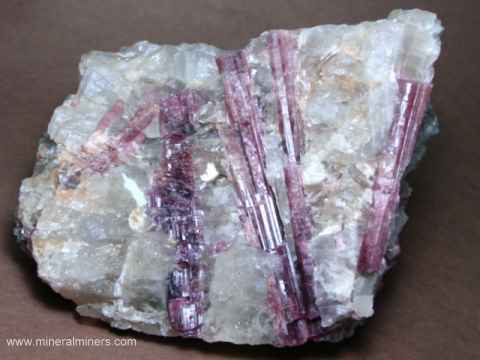 See also a side-view of this rubellite tourmaline in matrix decorator specimen. 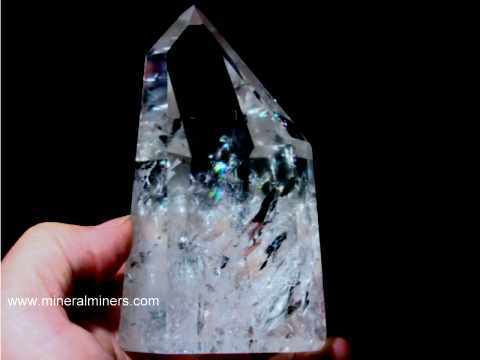 Pink Tourmaline in Matrix Dimensions: 14.5" x 7" x 6"
The matrix of this natural color pegmatite decorator specimen is white albite feldspar. 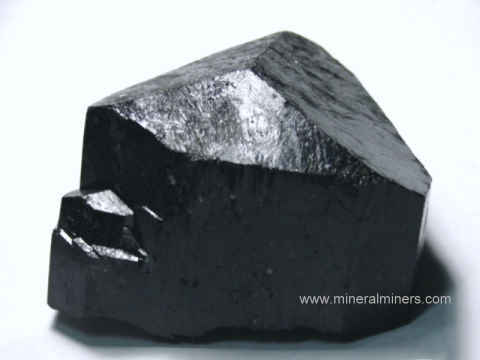 There are a several dozen deep red-pink tourmaline crystals intergrown with the albite matrix. 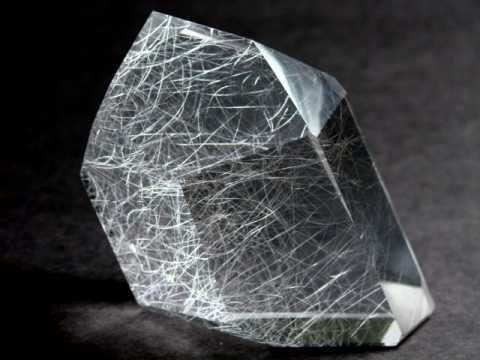 This beautiful decorator specimen looks great from all sides because the tourmalines pass all the way through the matrix and are exposed on all surfaces. 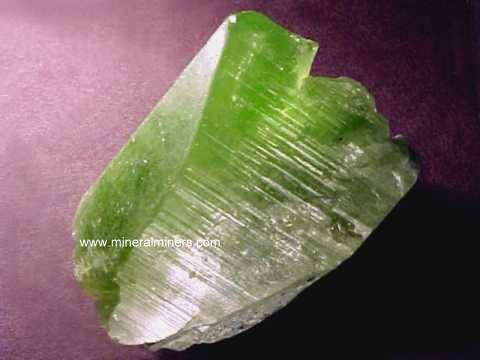 Some of these pink tourmaline crystals grade into green tourmaline at one end! 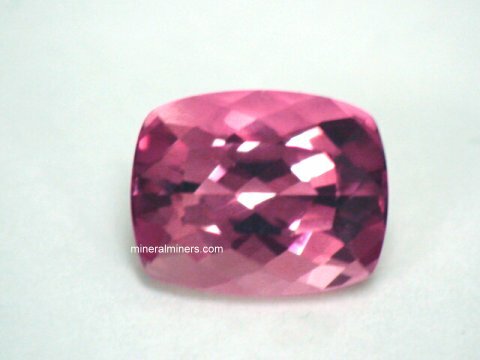 The pink tourmalines are mostly translucent, and the largest pink tourmalines are over 6 inches long! 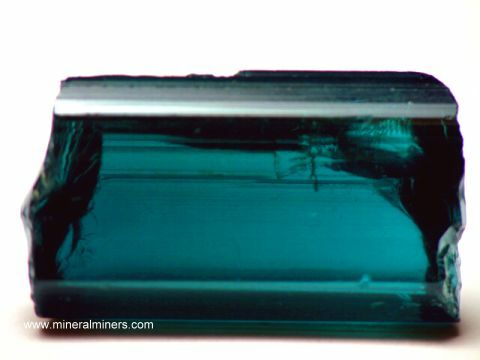 See a different view of this large pink tourmaline decorator specimen. 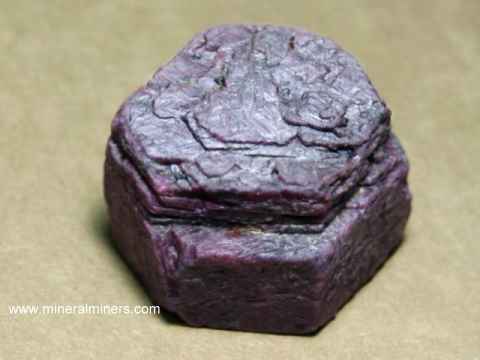 See also a view of another side of this natural color pink tourmaline decorator specimen. Deep Red-Pink Tourmaline in Matrix Dimensions: 6.7" x 5" x 3.5"
The matrix of this natural natural color pegmatite decorator specimen is composed mostly of translucent to semi-transparent quartz with some lepidolite mica and a small amount of albite. 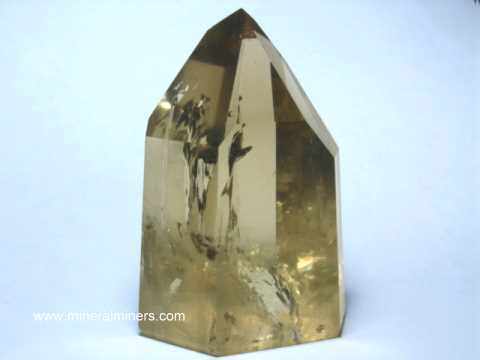 There is a 5 inch long semi-transparent rubellite tourmaline crystal exposed on this beautiful specimen's front surface as shown, with more tourmalines exposed on the back surface. 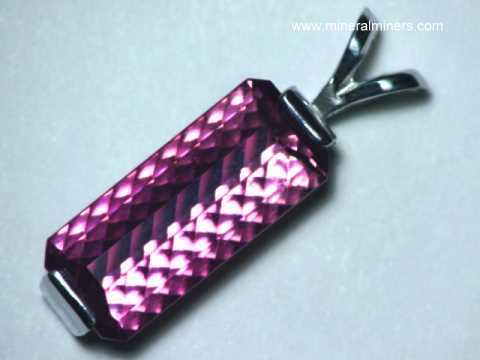 The tourmaline's color is a deep purple-pink to red-pink. See also another view of this large rubellite tourmaline in matrix specimen. 3.7" x 1.9" x 1.8"
This natural rubellite tourmaline crystal specimen has very rich purplish-pink to reddish-pink color (100% natural color). 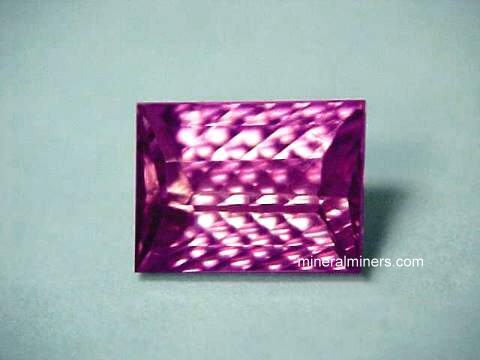 It is a rubellite tourmaline crystal section with prismatic faces on most sides, and it is mostly semi transparent with several large transparent cabochon gem-grade areas at one end. The photo at left shows this rare rubellite tourmaline specimen held near an incandescent light, see also a view of this large rubellite tourmaline lit from above. 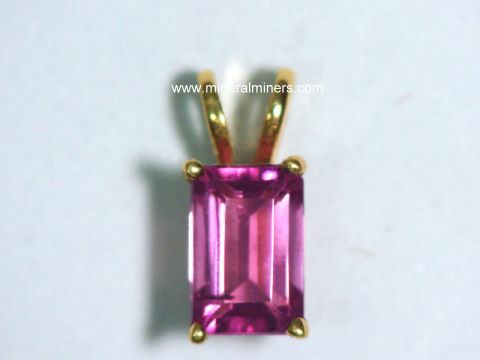 Our mineralminers.com special offer price for this natural rubellite tourmaline specimen is $1.75/carat x = $2821. 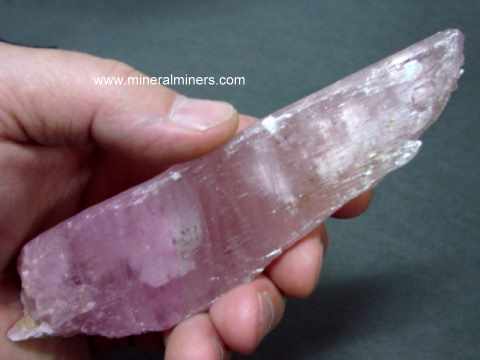 Our Pink Tourmaline Mineral Specimens and Pink Tourmaline Crystals are 100% natural pink tourmaline! 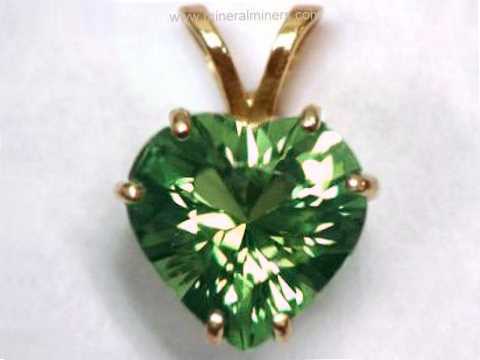 We have a variety of natural pink tourmaline items in stock, including pink tourmaline gemstones, pink tourmaline crystals & mineral specimens, and a large selection of natural color pink tourmaline jewelry items. 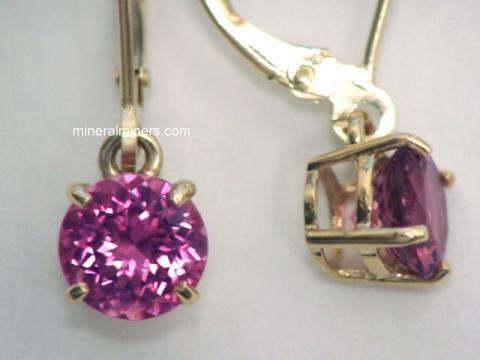 Our pink tourmaline faceted bead necklaces are strung with natural color transparent pink tourmalines, and our pink tourmaline pendants are set in solid 14k gold designs. 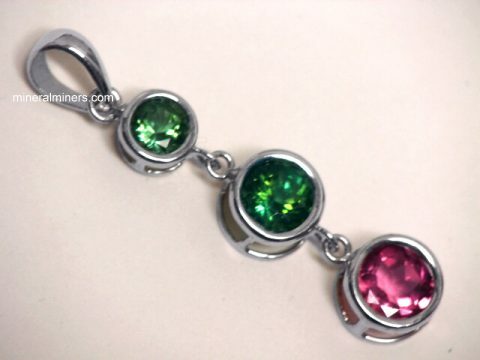 We also have pure 925 sterling silver pink tourmaline jewelry. Some of our pink tourmaline crystals have rare gem grade areas inside and can be faceted into wonderful pink tourmaline gems! 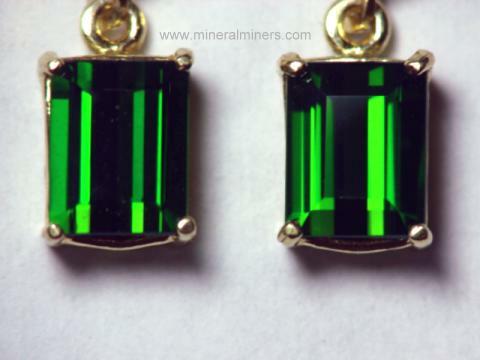 We also have a large selection of natural color green tourmaline crystals. 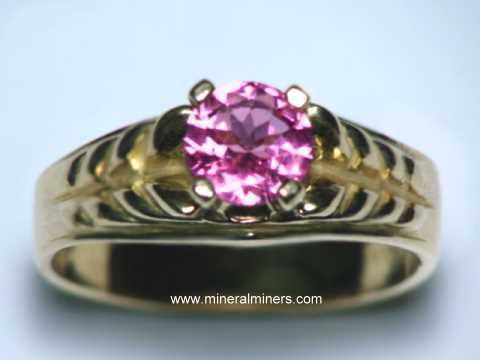 See also our natural pink tourmaline jewelry. 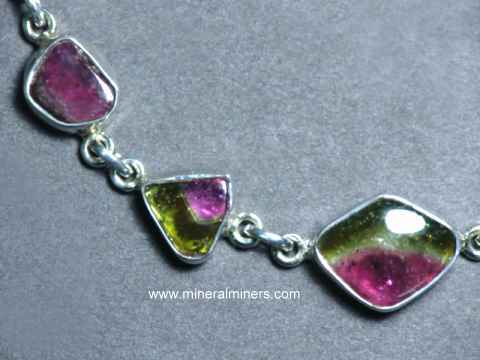 To see more pink tourmaline photos, just select another item category from the table below. 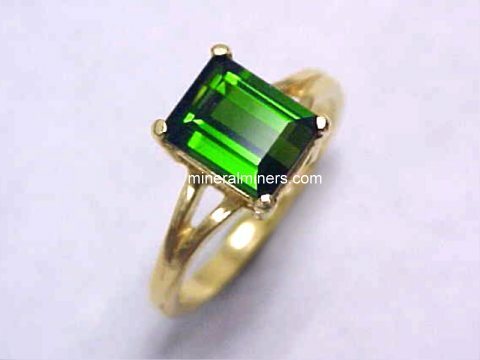 We also have a page that displays tourmaline crystals for all of the natural tourmaline varieties. 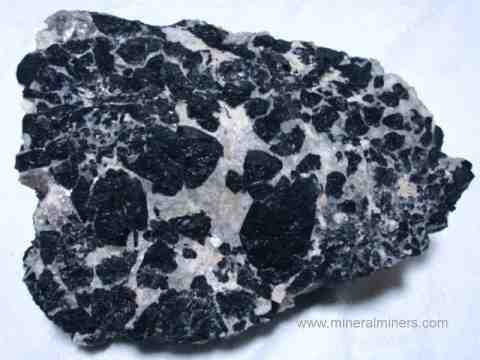 To see photos of another mineral variety, select any item category link in our Mineral Inventory & Factsheet Index. 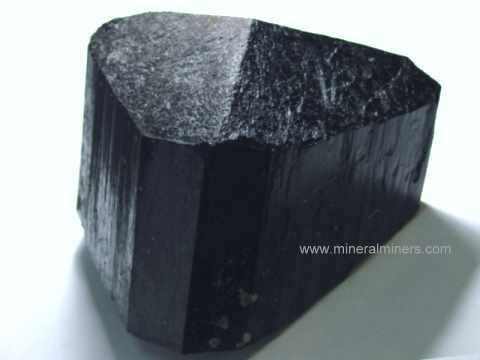 Would you like us to inform you when we add more crystals and matrix mineral specimens of natural color pink tourmalines on this page?